Bollywood Queen Kangana Ranaut definitely knows how to make it to the headlines. 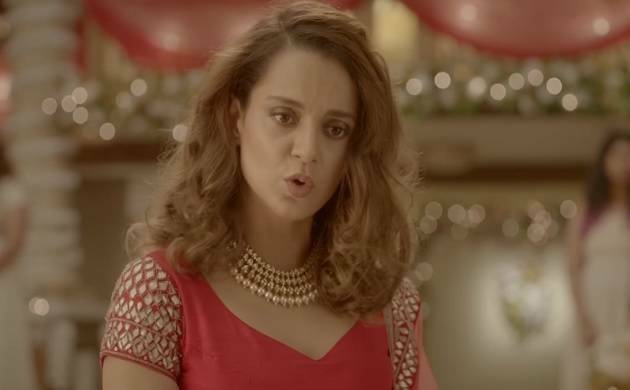 Recently, she was seen in popular interview show on a news channel taking on Hrithik Roshan and filmmaker Karan Johar and now she is back with AIB new spoof. The video song features Kangana as a film heroine namely ‘Priya’. And in the beginning of the video she introduces herself and says ‘’the actress, female lead’’. The song also takes on token feminism where the heroes are taking higher pay cheque, and heroines gets privileged to have their name appear before him on the credit roll. In response to this video, filmmaker Karan Johar took his Twitter handle to share his views on the video and wrote, "Dear talent... I wish you would stay away from overconfidence and delusion... they are constantly conspiring against you... don't you see it?’’. Dear talent ...I wish you would stay away from overconfidence and delusion....they are constantly conspiring against you...don't you see it? The song is basically a promotional video for her upcoming flick ‘Simran’ which is set to release this week. After ‘Simran’, she will begin shooting for ‘Manikarnika: The Queen of Jhansi’.